Home » Laser Devices » Theragrow » Theragrow Review – Does This Laser Helmet Work As Claimed? Read Complete Review Here! Theragrow Review – Does This Laser Helmet Work As Claimed? Read Complete Review Here! Theragrow TM Review – Does This Laser Helmet Work As Claimed? Read Complete Review Here! 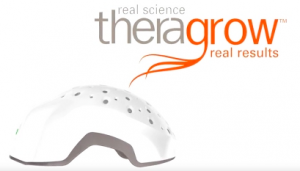 In an effort to know more about laser helmet devices that may positively affect the hair, I found Theragrow which claims to be a proven laser helmet for reducing hair loss and thinning hair. For a fact, science has put in place the use of low level laser light technology in combating hair loss and thinning hair. At first, I came across this product in a retailer website called HSN; a multichannel retailer that promotes strong direct-to-customer expertise. Could this mean that the device is safe and effective for the claimed purpose? Maybe or not, we need all the information from this review to determine this! 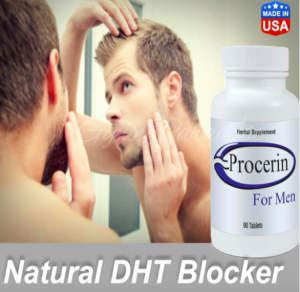 Other than nutrients, the human hair demands a favorable condition to stay healthy. Similarly, age and heredity are also factors that affect the health of the hair. Get some refreshments and follow the review on all about the TheragrowTM laser helmet ! 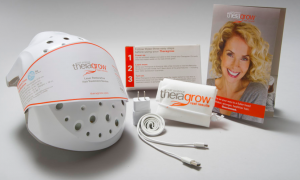 Theragrow is marketed as a wearable hair growth device designed and made in USA by TheradromeTM; a company focused in developing the world’s most technologically advanced Laser Phototherapy devices and other high quality scalp devices. 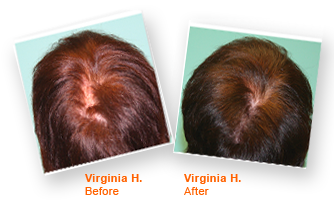 According to them, this laser treatment is an over-the-counter medical device to reduce hair loss (in women) and thinning hair due to androgenetic alopecia. From our information source, the device should be safe and effective for use by women who experience hair loss and thinning hair. By this, Theragrow should re-grow the user’s hair in a natural fashion. In line with the manufacturer’s description, it is to be used for a 20 minute session four (4) times a week. The manufacturer explains that it is ideal to separate each session by at least 24 hours to allow some time for rest. 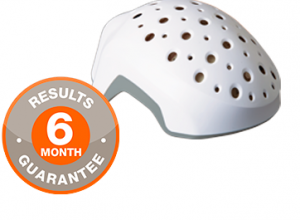 The frequency of use of this device (number of treatments at intervals that cause new hair growth) can be reduced once a desired result has been achieved. Our information sources mention that if we completely stop the use of this device, hair loss pattern will come back. It seems the company stands behind this product with some mutual terms and conditions! According to the manufacturer, Theragrow works by utilizing the power of laser light to minimize hair loss and promote hair growth. Research has shown that laser light is the only substance that can penetrate the scalp to a depth of 3 to 5milimeters. The light in question reaches the base of the hair follicles and stimulates hair growth. This hair growth device as explained by the manufacturer should deliver the optimal laser light wavelength proven to effectively re-grow the user’s hair with clinical strength results. It is said to completely cover the affected area of the scalp when used to treat androgenetic alopecia in affected women. For a fact, we have seen different laser-based products in the past with similar description and claims. From what we are seeing here about TheragrowTM , are there features that make this device stand out of the crowd? From our information source, TheragrowTM is specifically designed for women who suffer from hair loss (androgenetic alopecia) and thinning hair. From the point made so far, it is clear that if a woman who wants to get over the hurdles of hair loss and re-grow your hair, you can resort to the use of this laser hair growth device. Yes, that’s the manufacturer’s claim! The product manufacturer promotes that it is for women with Savin hair loss scale classifications I and II with Fitzpatrick skin type 1 to 4. According to them, the device can be used while using other hair loss treatments (minoxidil, hair transplant). 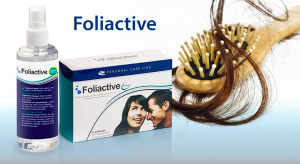 However, it should not be used by pregnant women, breastfeeding mothers and those suffering from scalp cancer. Also, prospective users who are on photosensitizing medications or with underlying medical conditions are advised to consult a physician before using the device. It may not be effective in women with some hair and skin types. The manufacturer of Theragrow (TheradomeTM), promotes that their products are designed with high end materials and should guarantee an optimum scalp health restoration in women. They mention to have partnered with established leaders in the hair restoration industry in an effort to develop innovative, clinically safe and effective scalp/hair products. The company has an official sales page where they described what they do. Here, they mention that the hair restoration helmet is FDA cleared. Further into the manufacturer’s claims, the product is backed by a 6 month money back guarantee. This means that any woman who wishes to use TheragrowTM will have a whole 6 months to use the helmet risk-free. The laser device can be returned for a refund (less shipping and handling fees) within this period if not satisfied with the result. 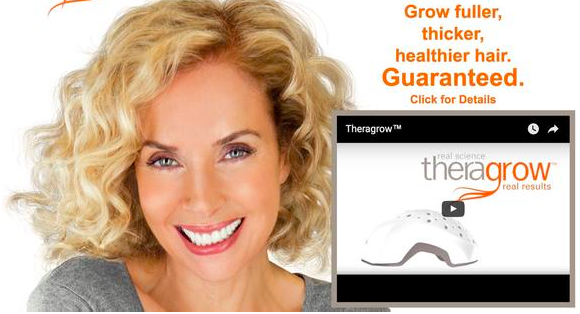 Theragrow designed with 40 individual lasers markets to deliver the optimal laser light wavelength proven to revive hair follicles and promotes healthy hair growth. Collating the data gathered from different sources about this device, it could actually minimize hair loss (androgenetic alopecia) in women. It harnesses the power of laser light technology to achieve the claimed benefits. In an effort to know if this device really does what it says, I went into more research from which I discovered that there are a good number of positive reviews from previous users of this laser helmet. Evidently, the product manufacturer did not provide any documented scientific or clinical proof of the helmet’s effectiveness instead they based its proof of safety and efficacy on already established results on low laser light technology. 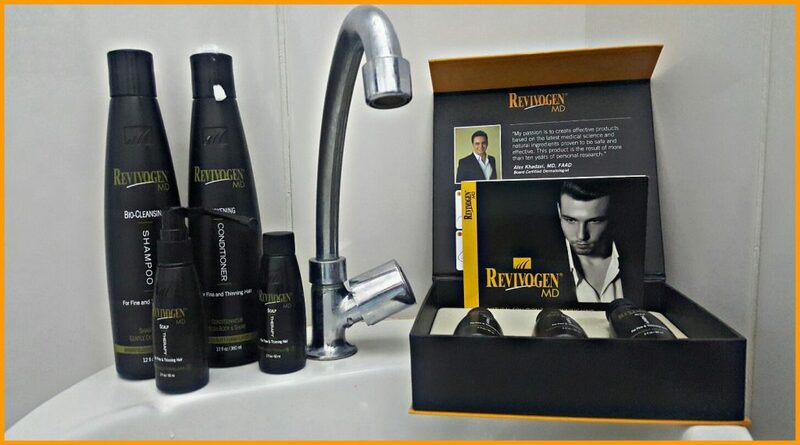 The fact that the company is known to have other innovative hair growth products in the market that have made impacts in the industry is a plus. Since Theragrow is neither drugs nor hair re-growing pills that may cause some side effects, I will say that it’s worth checking out by women who are affected by hair loss. It can be purchased through the company’s primary website or from Hsn; a known retailer of laser light based hair restoration products. In fact, eBay (www.eBay.com/Theragrow ) has it BRAND NEW Theragrow helmet for much less price. However, if you’re looking for something much cheaper, such as laser hair growth devices, you can stop by the HairMax review where there are a few options to choose from. Click here to visit my HairMax Laser devices review! For your opinions, you can drop your comments in the box below and I will respond to you as fast as possible. Previous Post Maximum Hair Minimum Loss Review – Is this a Real PDF eBook/Guide or Is it a Scam? Read Reviews Below! Next Post Manetabolism Plus Review – Is This Really Effective as a Hair Growth Vitamin? Only Here!